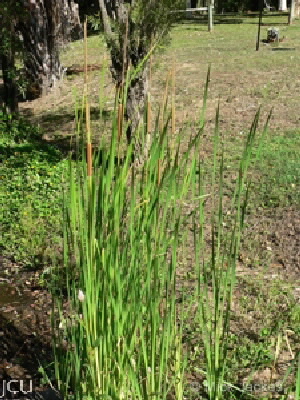 Erect grass-like plants to 3 m tall. Grows along drains and edges of watercourses in slow moving water. Leaves narrow, flowers in oblong, brown masses, rather like a narrow kebab!. Propagated by rhizomes.